Tamara Lanier claims to be a descendant of an enslaved man and his daughter that were photographed without their consent in 1850. The lawsuit claims that Harvard continues to profit from the images. Lauren Underwood was elected to Congress from the 14th District in Illinois. Among Underwood’s top priorities when she comes to Washington is to tackle the student loan debt crisis. She supports increased funding for Pell Grants, student loan forgiveness, and affordable student loans. In the early twentieth century one of every four undergraduate classes at Wesleyan College, an educational institution for women in Macon, Georgia, was designated the Ku Klux Klan class. Several school districts around the nation have adopted policies that prevent students from wearing their hair in braids, twists, dreadlocks and Afros. Kimberly Norwood of Washington University is a leader in the fight to end these discriminatory rules. Reggie Owens, a student and football player at South Carolina State University, witnessed a horrific accidents and was able to rescue three children. From time to time, The Journal of Blacks in Higher Education will provide links to online articles that may be of interest to our readers. Here are this week’s selections. Smith was a Navy veteran and a graduate of Bowdoin College and the University of Maine School of Law. He was a former associate dean at Bowdoin. Daniel Q. Gillion, assistant professor of political science at the University of Pennsylvania, has won the 2014 Best Book Award from the Race, Ethnicity, and Politics Section of the American Political Science Association. The Sweet Briar College campus in Virginia is located on the site of a former plantation where slaves had worked. Blacks make up about 9 percent of the student body at the college. Dixie State College in St. George, Utah, was founded in an area settled by Mormons from the South. The college used to have a Rebel as its mascot. A survey has found that most members of the community want the word “Dixie” to remain as part of the institution’s name. In addition to a successful business career, Hill was a leader in the civil rights struggle and participated in efforts to desegregate the Atlanta public schools and the University System of Georgia. She has served as an Alabama state representative since 1970 and was the former president of Bishop State Community College. She held a doctorate from the University of Alabama. Should Dixie State College Change Its Name? The college is in the midst of transitioning to university status. And since the name will be changed to reflect its new status as a university, critics are lobbying to remove the word “Dixie” from the name. Next fall a posse of 10 students from urban schools in Chicago will enroll at Cornell. The university has agreed to support one posse of 10 students for the next five years. The longtime Williams College professor founded the college’s Kusika African Dance and Drumming Ensemble and the Zambezi Marimba Band. Patricia Edwards of Michigan State University and Charline Barnes Rowland of West Virginia University will be honored at the group’s annual meeting in Chicago which convenes in April. Brooks spent his entire professional career at Fisk University in Nashville, Tennessee. The new website offers a comprehensive list of resources on matters of diversity for students, faculty, and the community. Professors Frances Smith Foster and Clayborne Carson will share the $25,000 Joseph B. and Toby Gittler Prize from Brandeis University. Arthur Johnson, author, civil rights activist, and former senior vice president of Wayne State University, died recently from complications associated with Parkinson’s disease. He was 85 years old. 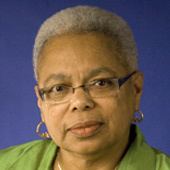 The award-winning author of children’s books, she was the longtime director of the Community Education Program at Temple University. In determining the race of a person in an image, participants were influenced by the subject’s attire. The group had been based at the University of Delaware for 40 years.